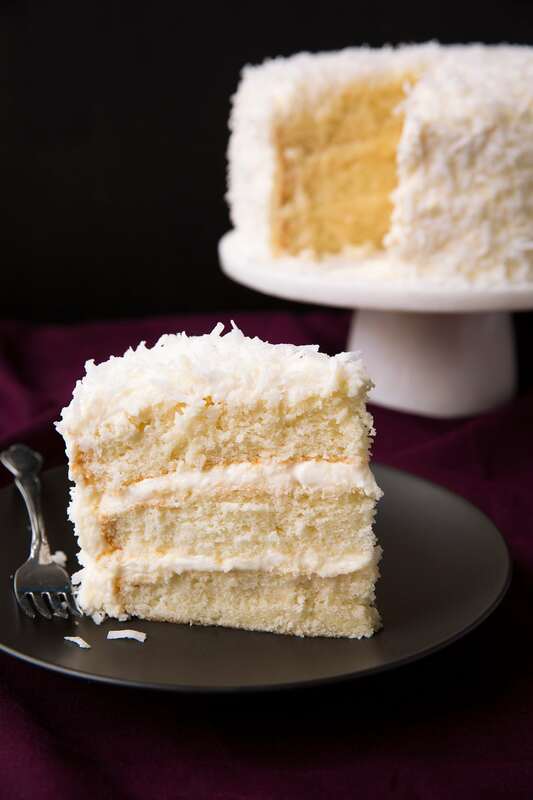 This Coconut Cake is one of the best cakes you’ll ever make! 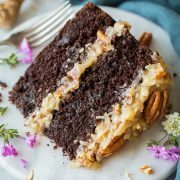 It’s light and fluffy, it’s brimming with sweet coconut flavor and it’s finished with a rich and creamy cream cheese frosting. This has been a reader favorite recipe for years and it’s one of my my families favorites! The Best Coconut Cake Recipe! I shared this coconut cake four years ago but I figured it was due time that I re-share it in case some of you may have missed out. It’s a recipe book dessert staple! This is what I’m planning on making for Christmas dessert and I can’t wait! Some people look forward to gifts, I look forward to cake. This cake is elegant and sophisticated yet very traditional and simplistic and it’s perfect for the holidays since it’s not only incredibly delicious but it’s so white and snowy looking. I love that it’s like the cake you remember your grandma serving at family parties growing up. Who doesn’t love a good old fashioned recipe like this? The classics are often the best. This will probably be one of the softest cakes you’ll ever make and you’ll also love that it is incredibly moist (because we all hate a dry cake right?). 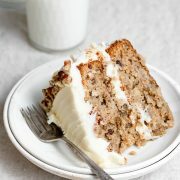 And it is layered with sweet, natural coconut flavor with every bite, which is complimented perfectly by the light tang of the cream cheese in the frosting. Good luck saying your only going to have a thin slice. Not gonna happen with this cake. Try it and you’ll see what I mean! Merry Christmas and Happy Hanukkah and Kwanzaa too! I hope you have the best holiday week! Sift cake flour into a bowl then whisk with baking powder and salt. In an electric stand mixer cream sugar, butter and canola oil. Mix in egg yolks and extracts. Blend in flour mixture in 3 additions alternating with additions of coconut milk. Seperately whip egg whites with cream of tartar to stif peaks. Pour batter into cake pans and spread even. 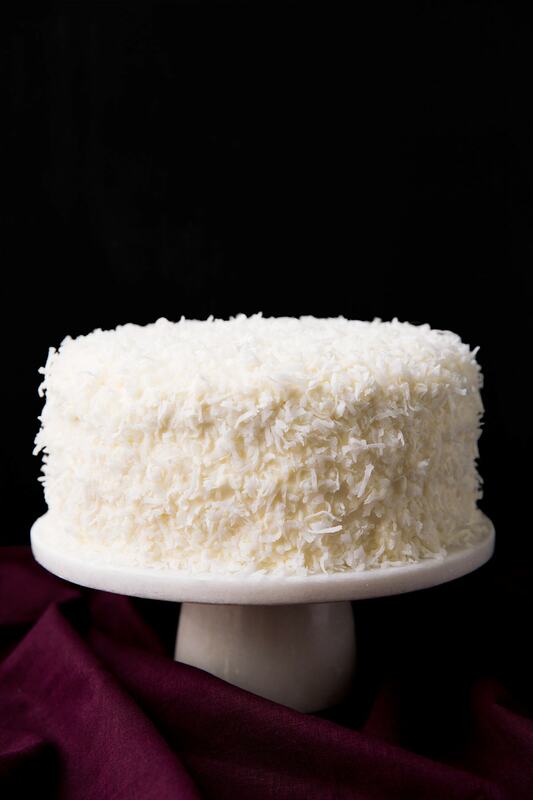 Bake until set, let cool completely then frost and finish with shredded coconut. You can freeze the cake layers without the frosting. To do so wrap in foil then store in an airtight container. Let thaw then frost! More Coconut Recipes You’ll Love! 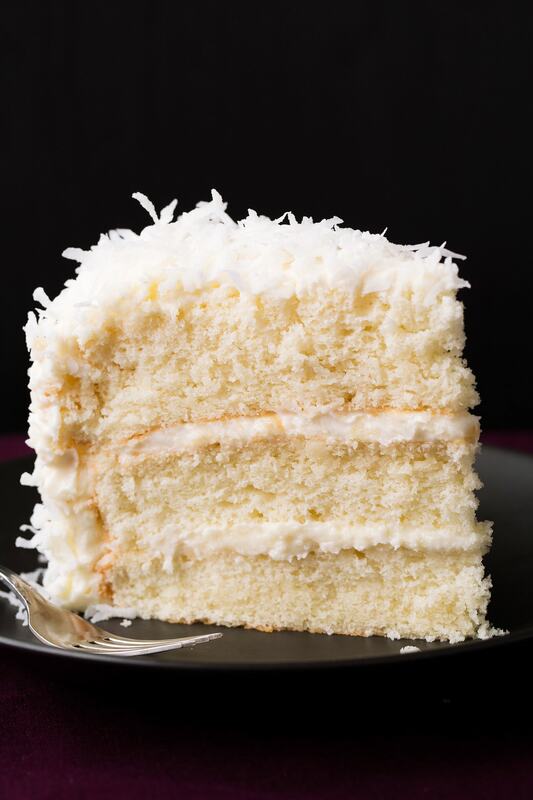 This Coconut Cake is one of the best cakes you'll ever make! 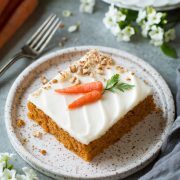 It's light and fluffy, it's brimming with sweet coconut flavor and it's finished with a rich and creamy cream cheese frosting. It's been a reader favorite recipe for years and it's one of my my families favorites! Preheat oven to 350 degrees. Butter 3 9-inch round cake pans and line bottom of each with a round of parchment paper, butter parchment paper and set pans aside. Sift cake flour into a large mixing bowl, then add baking powder and salt and whisk mixture for 20 seconds. In the bowl of an electric stand mixer, fitted with the paddle attachment, blend together granulated sugar, butter and canola oil on medium speed until well combined. Add in egg yolks one at a time and mix until combined after each addition (reserve 2 egg whites), then mix in coconut and vanilla extracts. Working in three separate batches, beginning and ending with flour mixture. Add 1/3 of the flour mixture, alternating with 1/2 of the coconut milk and mixing just until combined after each addition (if you don't have the paddle attachment that scrapes the sides of the bowl, stop mixer and scrape sides and bottom occasionally). In a separate mixing bowl, using an electric hand mixer, whip 6 egg whites with cream of tartar on medium-high speed until stiff (but not dry) peaks form. Using a rubber spatula, carefully fold 1/3 of the egg whites into cake batter at a time and fold just combined after each addition (don't over-mix and deflate egg whites). Divide batter among prepared cake pans. Spread batter into an even layer and bake in preheated oven until toothpick inserted into center of cake comes out clean, about 19 - 22 minutes. Allow to cool in cake pan 5 - 10 minutes then run a knife along edges of cakes and invert each onto a wire rack to cool. Cool completely the cut tops to even as needed. Frost top of one layer, add another layer and frost then top with last layer and frost top and sides. Place cake stand over a rimmed baking sheet and sprinkle cake evenly with shredded coconut (pressing gently on sides to adhere. I just did it over a rimmed baking sheet for easier clean up - not a must). Store in an airtight container in refrigerator (let rest at room temp until no longer cold before serving). In the bowl of an electric stand mixer fitted with the paddle attachment, whip butter with cream cheese until smooth and fluffy. Mix in coconut extract. Add powdered sugar and whip on medium speed until smooth and fluffy. Chill as needed if frosting seems runny (slightly runny is fine, once you get it frosted the coconut will help it stay in place). If you like the cake a little less sweet you can use 1 3/4 cups granulated sugar. Then you can even use 2/3 the frosting amount which I've done but you'll only have a thin layer of frosting.